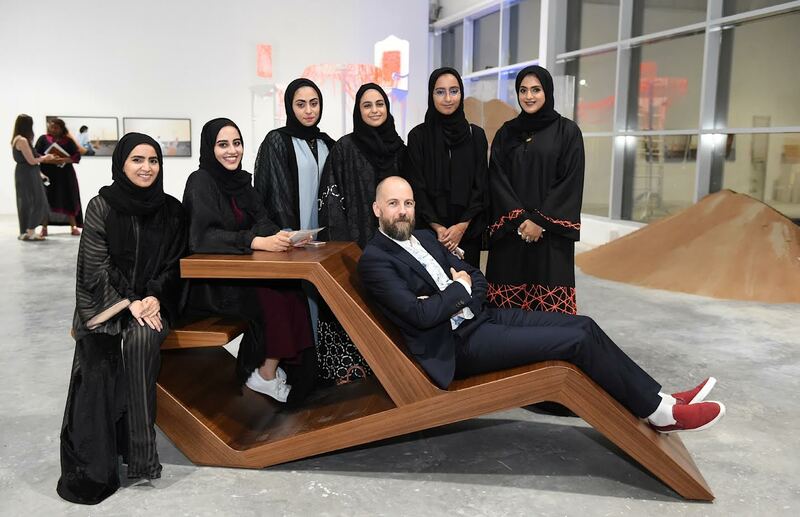 Dubai, UAE: The College of Arts and Creative Enterprises (CACE) at Zayed University inaugurated showCACE, a pop-up project as part of Assembly- a week of design and making at Warehouse 61 at Alserkal Avenue, on Sunday evening in Dubai. In parallel with Dubai Design Week, Alserkal Avenue announced Assembly, a week of design and making that ran from October 23rd and will end on 29th. The design-focused program will feature exhibitions and events that will highlight the most innovative designers and makers both regional and global. The College of Arts and Creative Enterprises aims to develop graduates who are leaders and innovators in the field of art and design practice and graduates who will continue significantly to the cultural fabric of the UAE. She added: “Our graduates are the new up and coming artists, designers, gallery curators, educators, art policy makers and arts administrators, and it is through our graduates that we aspire to foster and build a vibrant art and design community in the UAE and abroad. Art and design are major contributors to a nation’s creative economy and in the establishment of a global identity, they are a country’s greatest export. From 25-29 October, the College of Arts and Creative Enterprises will present showCACE: design discussions from an Emirati perspective, which will see current students and recent graduates participating from Zayed University. Moreover, the CACE will organize a panel discussion with the participation of its professors and students, to focus on emerging female designers entering the creative industries in the UAE. “Zayed University’s CACE presents the future of emerging young female Emirati design thinkers. As the culture within the Emirates evolves, emerging artists and designers must consider the scope of the nation’s needs, cultural heritage and social impact. Therefore, this panel discussion will focus on the mentor-student relationship in the fields of the graphic design, interior design and visual art exploring the challenges they encounter in their own communities,” Walter Willems, Exhibition Coordinator at CACE, said. Assembly will feature a rich mix of talks, workshops, book launches and special events in Nadi Al Quoz, located in Warehouse 90 in the Avenue. These programs will draw upon the intricacies of design and making, tying them together with the closely related fields of architecture, urban planning and other creative practices.